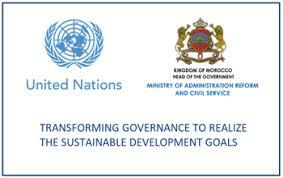 The Moroccan city of Marrakech will host the United Nations Public Service forum June 21- 23 to be held under the theme: “Transforming governance to realize the Sustainable Development Goals”. The event will bring together ministers and senior decision-makers to discuss how to transform governance and innovate the way governments, institutions and public administrations are organized and work to deliver on the Sustainable Development Goals (SDGs). Participants will also look at how governments can become more effective, inclusive and accountable. The gathering is an opportunity to discuss some issues related to good practices, strategies and approaches to transforming governance and innovating public administration. During the forum, the 2018 UN Public Service Awards will be handed over to the winners for their innovative practices. The Awards promote the role, professionalism and visibility of public service and governments’ capacity to anticipate and respond to the challenges of the SDGs through creativity and innovation, especially in the delivery of services. This international event seeks to promote enhanced cooperation and partnerships. Its ultimate goal is to contribute to developing the capacity of governments to anticipate the various challenges posed by the implementation of the 2030 Agenda. Drawing from the strategies that different countries are implementing and their related successes and difficulties, the Forum can inspire participants to develop their own solutions and pathways to realizing the SDGs, otherwise known as the Global Goals, seeking to end poverty, protect the planet and ensuring that all people enjoy peace and prosperity. These global goals build on the successes of the Millennium Development goals, while including new areas such as climate change, economic inequality, innovation, sustainable consumption, peace and justice, among other priorities. These goals are interconnected – often the key to success on one will involve tackling issues more commonly associated with another. The SDGs tackle the root causes of poverty and unite the world community to make a positive change for both people and planet. Posted by Hafid El Fassy on May 12, 2018. Filed under Columns, News, Zoom. You can follow any responses to this entry through the RSS 2.0. Both comments and pings are currently closed.